As if you could fail to notice that it’s Valentine’s Day next weekend! While many of us want to show our loved one how much we care, it’s sometimes hard to find original and thoughtful ways to spoil that special someone while avoiding traditional clichés. Why not let Allow Me organise a unique Valentine’s day that you and your partner will never forget? Whether that be a weekend skiing in the mountains, a romantic boat trip on the lake, an unforgettable dinner at home or a night out in the city – Allow Me can organise a tailored day to suit all your needs. 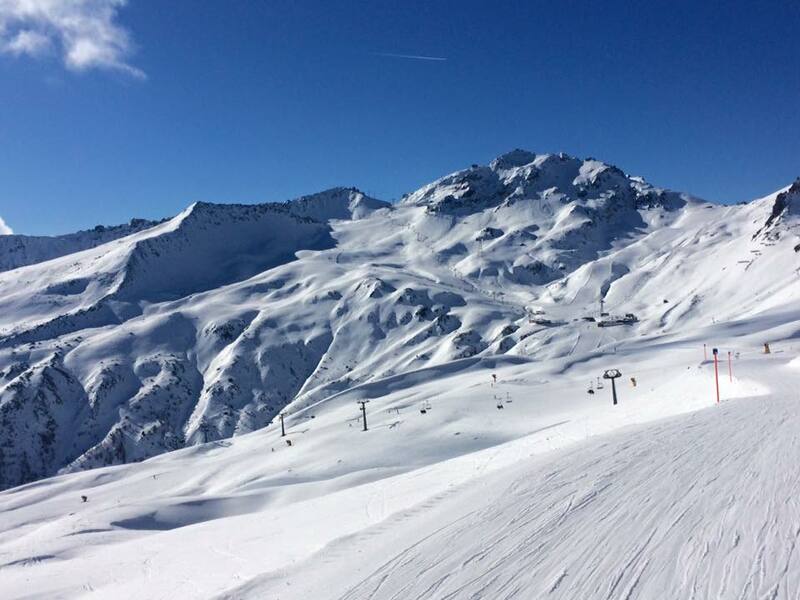 With snow expected all next week, why not escape for a lovely day trip to nearby resorts such as Klosters/Davos, Andermatt, Lenzerheide or Flims/Laax? 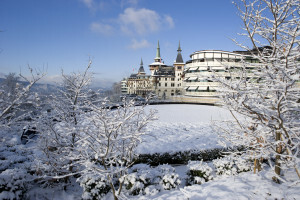 Allow Me can recommend romantic hotels, incredible restaurants, top rated ski guides and much more. With some great powder forecasted almost everywhere it’s a weekend you don’t really want to miss out on (although with the snow pack being not as stable as it normally is we highly recommend that if you are skiing off piste you take a guide). 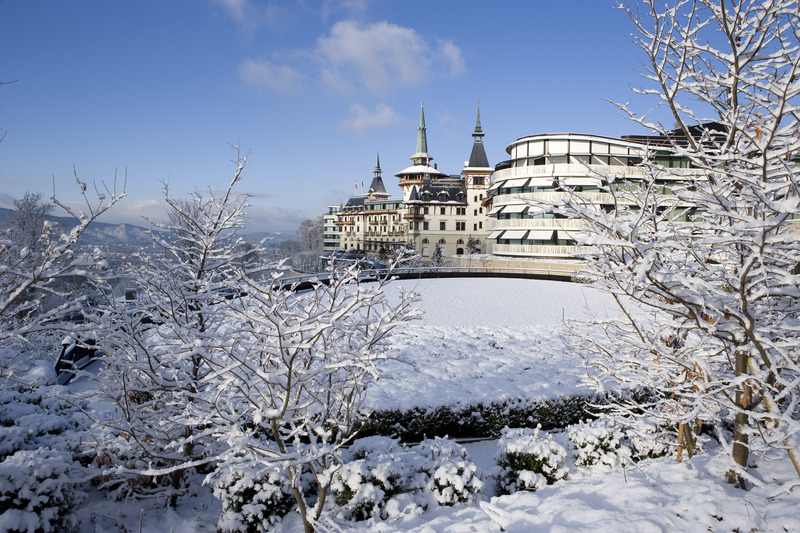 In certain resorts we offer a bespoke picnic in the snow which would be an unforgettable way of spending Valentine’s Day. If the evenings are more your scene how about drinking champagne in a horse-drawn sledge being driven around the village or even en route to a tranquil restaurant with a burning log fire? Allow Me can make almost anything happen so please get in contact with us so that we can tailor your mountain break to your specific needs. meals in their Michelin starred restaurant or even a pampering day in their incredible spa. If you are more of a morning person you could go for a romantic brunch, check out Quai61, Café des Amis, Volkshaus or for a more healthy option, Hiltl. You could also indulge in the British tradition of afternoon tea at one of Switzerland’s most iconic, luxury hotels, the Baur au Lac. 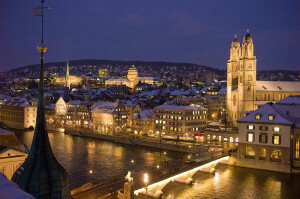 For more ideas on our favorite places to go in Zurich feel free to contact Allow Me. bottle of champagne or prosecco and some paper cups to enjoy some bubbles on the upper deck. If you are looking for a more energetic way to spend your day in Zurich then why not take a walk up to Uetilberg and hike along the Albis ridge towards Adliswil, which takes between one and two hours. Forested trails weave between panoramic countryside, views of the lake of Zurich and the alps ahead and there are some lovely restaurants for a spot of lunch during your hike or even better, have a romantic picnic in the woods. At Adliswil, the Felsenegg cablecar will take you down, or there is a steep trail you can walk down. Five minutes beyond the cablecar station, there is a lovely restaurant with a terrace overlooking the view for some well-deserved coffee and homemade apple strudel after the walk. Instead of buying flowers for your loved one, why not order some unique cupcakes with a personal message from Oh Sweetest Things? I often find in love it’s the smallest personal gestures that provide the most happiness. If you have any questions or you would like Allow Me Lifestyle Management Service to help you organise your Valentine’s Day please get in contact. I hope you all have a great Valentine’s Day, I will be making sure that I spoil my wife rotten……. Posted in Activities, Allow Me, Clients, Concierge, Drinks parties, Events, Expats, Hiking, Lifestyle Management, Mountains, Parties, Services, Skiing, Snow, Weekend breaks, Winter and tagged Allow Me services, Andermatt, christmas zurich, clients, concierge Zug, Concierge Zurich, couples, davos, day trip, Engelberg, Flims/Laax, good food, klosters, Laax, lifestyle management Zug, lifestyle management Zurich, mountains, romance in zurich, skiing, valentines, valentines day, weekend breaks, winter. 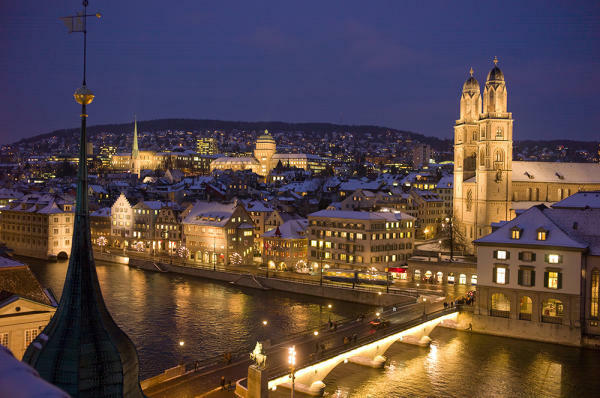 lifestyle management Zurich.